fresh dimension of cloakroom stands for the narrowest places. Perfect combination of coat stand and seat bench. 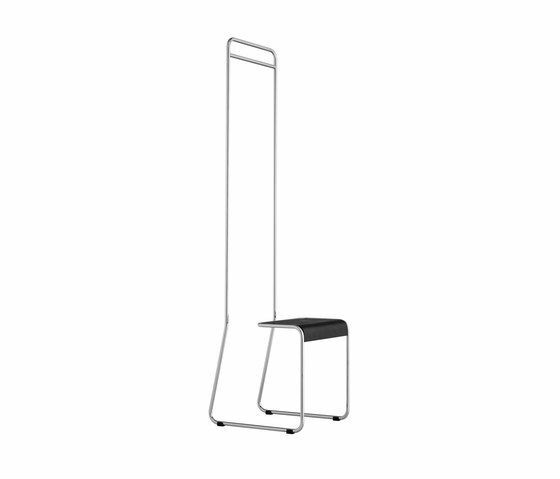 Material clothes stand: steel tubes with a polished mirror finish. Seat: black stained beech plywood.